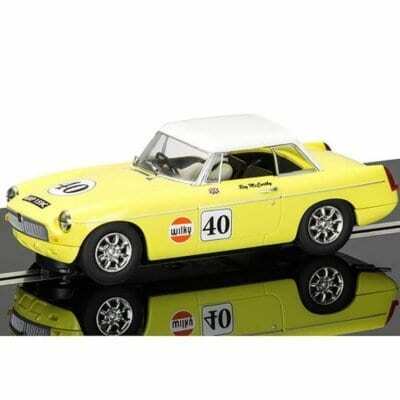 Scalextric MGB Thoroughbred Sports Car Series No.40 driven by Roy McCarth. Roy McCarthy and his two sons, Russell and Spencer, formed McCarthy Motorsport using Roy’s knowledge and expertise with MGs. 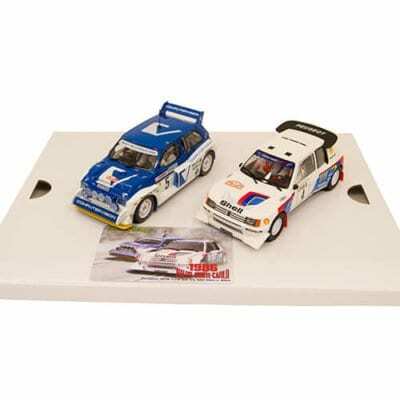 Over the years, the family took hundreds of podiums and class wins across many historic racing championship classes. Sebring in 1964 was one of the world top-tier endurance races, part of the FIA Challenge Mondiale and Prototypes Trophy, along with the Targa Florio, Le Mans, and the Nurburgring 1000 km. Two of British Motor Car Distributors team of red, white and blue MGBs finished the grueling 12 hours, an extraordinary achievement demonstrating the competitiveness of the MGB. The car, the Iris Blue #48, consistently lapped the Sebring course in the low four-minute range to come home fourth in class and 22nd overall. 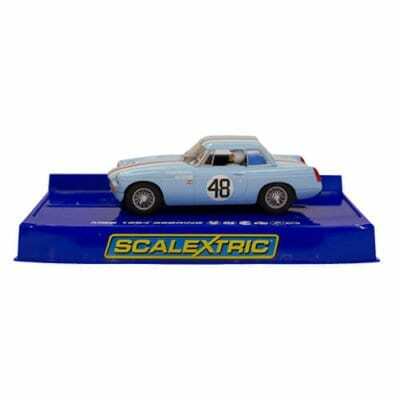 Following the race, the car went on to establish a long and successful SCCA racing history. The Sebring parts were carefully preserved, and were passed along with the car to each new owner. The car has since been meticulously restored to its 1964 Sebring configuration.